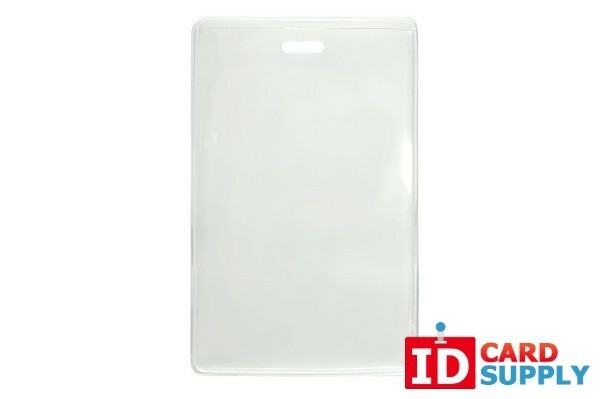 This frosted back vertical badge holder is compatible with proximity cards and readers. It fits a standard credit card sized badge and has a slot for easy attachment to one of our lanyards. The frosted back is very visually appealing, and will ensure that your organization or company is taken seriously due to its professional look! These badge holders are economically priced in packs of 100.